This enterprise case study discussion from the show floor focuses on an award-winning applications migration and transformation -- and a grand-scale data center transition, too -- for T-Mobile. I was really impressed with the scope and size -- and the amount of time, in terms of being short -- for this award-winning project set. Gardner: People don’t just do these sorts of massive, hundred million dollar-plus activities because it's nice to have. Cooper: Absolutely. There are some definite business drivers behind setting up a world-class, green data center and then a separate disaster-recovery data center. Gardner: Why did you decide to undertake both an application transformation as well as a data center transformation -- almost simultaneously? Chennaian: Given the scope and complexity of the initiative, ensuring system availability was primarily the major driver behind this. Quality assurance (QA) plays a significant role in ensuring that both data centers were migrated simultaneously, that the applications were available in real-time, and that from a quality assurance and testing standpoint we had to meet time-frames and timelines. Gardner: Let's get a sense of the scope. Tell me about T-Mobile and its stature nowadays. Cooper: T-Mobile is a national provider of voice, data, and messaging services. Right now, we're the fourth largest carrier in t he US and have about 33 million customers and $21 billion in revenue, actually a little bit more than that. So, it's a significant company. We're a company that’s really focused on our customers, and we've gone through an IT modernization. The data center efforts were a big part of that IT modernization, in addition to modernizing our application platform. Gardner: Let's also talk about the scope of your movement to a new data center. Chennaian: Two world-class data centers, one in Wenatchee, Washington, and the other one is Tempe, Arizona. The primary data center is the one in Wenatchee, and the failover disaster-recovery data center is in Tempe, Arizona. Cooper: What we were doing was migrating more than 175 Tier 1 applications and Tier 0, and some Tier 2 as well. It was a significant effort requiring quite a bit of planning, and the HP tools had a big part in that, especially in the QA realm. Gardner: Now, were these customer-facing apps, internal apps, logistics? Are we talking about retail? Give me a sense of the scope here on the breadth and depth of your apps? Chennaian: Significant. We're talking critical applications that are customer-facing. 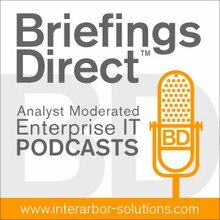 We're talking enterprise applications that span across the entire organization. And, we're also t alking about applications that support these critical front-end applications. So, as Michael pointed out, 175 applications needed to be migrated across both of the data centers. For example, moving T-Mobile.com, which is a customer-facing critical application, ensuring that it was transitioned seamlessly and was available to the customer in real-time was probably one of the key examples of the criticality behind ensuring QA for this effort. Gardner: IT is critical for almost all companies nowadays, but I can't imagine a company where technology is more essential and critical than T-Mobile, as a data and services carrier. What's the case with the customer response? Do you have any business metrics, now that you’ve gone through this, that demonstrate not just that you're able to get better efficiency and your employees are getting better response times from their apps and data, but is there like a tangible business benefit, Michael? Cooper: I can't give you the exact specifics, but we've had significant increases in our system up-time and almost near-perfect availability in most areas. That’s been the biggest thing. Kirthy mentioned T-Mobile.com. That’s an example where, instead of the primary and the backup, we actually have an active-active situation in the data center. So, if one goes down the other one is there, and this is significant. A significant part of the way that we used HP tools in this process was not only the functional testing with Quick Test Professional and Quality Center, but we also did the performance testing with Performance Center and found some very significant issues that would have gone on to production. This is a unique situation, because we actually got to do the performance testing live in the performance environments. We had to scale up to real performance types of loads and found some real issues that -- instead of the customers facing them, they didn’t have to face them. The other thing that we did that was unique was high-availability testing. We tested each server to make sure that if one went down, the other ones were stable and could support our customers. We were able to deliver application availability, ensure a timeframe for the migration and leverage the ability to use automation tools. Gardner: This was literally changing the wings on the airplane when it was still flying. Tell me why doing it all at once was a good thing. Chennaian: It was the fact that we were able to leverage the additional functionality that the HP suite of products provide. We were able to deliver application availability, ensure a time-frame for the migration and leverage the ability to use automation tools that HP provides. With Quick Test Professional, for example, we migrated from version 9.5 to 10.0, and we were able to leverage the functionality with business process testing from a Quality Center standpoint. As a whole, from an application lifecycle management and from an enterprise-wide QA and testing standpoint, it allowed us to ensure system availability and QA on a timely basis. So, it made sense to upgrade as we were undergoing this transformation. Cooper: Good point, Kirthy. In addition to upgrading our tools and so forth, we also upgraded many of the servers to some of the latest Itanium technology. We also implemented a lot of the state-of-the-art virtualization services offered by HP, and some of the other partners as well. Using HP tools, we were able to create a regression test set for each of our Tier 1 applications in a standard way and a performance test for each one of the applications. So, we were able to streamline our whole QA process as a side-benefit of the data migration, building out these state-of-the-art data centers, and IT modernization. Gardner: So, this really affected operations. You changed some platforms, you adopted the higher levels of virtualization, you're injecting quality into your apps, and you're moving them into an entirely new facility. That's very impressive, but it's not just me being impressed. You've won a People's Choice Award, voted by peers of the HP software community and their Customer Advisory Board. That must have felt pretty good. Cooper: It feels excellent. In 2009, we won the IT Transformation Award. So, this isn't our first time to the party. That was for a different project. I think that in the community people know who we are and what we're capable of. It's really an honor that the people who are our peers, who read over the different submissions, decided that we were the ones that were at the top. We've won lots of awards, but that's not what we do it for. The reason why we do the awards is for the team. It's a big morale builder for the team. Everybody is working hard. Some of these project people work night and day to get them done, and the proof of the pudding is the recognition by the industry. Our CIO has a high belief in quality and really supports us in doing this. It's nice that we've got the industry recognition as well. Honestly, we also couldn't do without great executive support. Our CIO has a high belief in quality and really supports us in doing this. It's nice that we've got the industry recognition as well. Gardner: Of course, the proof of the pudding is in the eating. You've got some metrics here. They were pretty impressive in turns of availability, cost savings, reduction in execution time, performance and stability improvements, and higher systems availability. Cooper: The metrics I can speak to are from the QA perspective. We were able to do the testing and we never missed one of the testing deadlines. We cut our testing time using HP tools by about 50 percent through automation, and we can pretty accurately measure that. We probably have about 30 percent savings in the testing, but the best part of it is the availability. But, because of the sensitive nature and competitive marketplace, we're not going to talk exactly about what our availability is. Gardner: And how about your particular point of pride on this one, Kirthy? Chennaian: For one, being able to get recognized is an acknowledgement of all the work you do, and for your organization as a whole. Mike rightly pointed out that it boosts the morale of the organization. It also enables you to perform at a higher level. So, it's definitely a significant acknowledgment, and I'm very excited that we actually won the People's Choice Award. Gardner: A number of other organizations and other series of industries are going to be facing the same kind of a situation, where it's not just going to be a slow, iterative improvement process,. They're going to have to go catalytic, and make wholesale changes in the data center, looking for that efficiency benefit. You've done that. You've improved on your QA and applications lifecycle benefits at the same time. With that 20-20 hindsight, what would you have done differently? Chennaian: If I were to do this again, I think there is definitely a significant opportunity with respect to planning and investing in the overall strategy of QA and testing for such a significant transformation. There has to be a standard methodology. You have to have the right toolsets in place. You have to plan for the entire transformation as a whole. Those are significant elements in successful transformation. Cooper: We did a lot of things right. One of the things that we did right was to augment our team. We didn’t try to do the ongoing work with the exact same team. We brought in some extra specialists to work with us or to back-fill in some places. Other groups didn’t and paid the price, but that part worked out for us. Also, it helped to have a seat at the table and say, "It's great to do a technology upgrade, but unless we really have the customer point of view and focus on the quality, you're not going to have success." We were lucky enough to have that executive support and the seat at the table, to really have the go/no-go decisions. I don't think we really missed one in terms of ones that we said, "We shouldn't do it this time. Let's do it next time." Or, ones where we said, "Let's go." I can't remember even one application we had to roll back. Overall, it was very good. The other thing is, work with the right tools and the right partners. Gardner: With data center transformation, after all, it's all about the apps. You were able to maintain that focus. You didn’t lose focus of the apps? It's great to do a technology upgrade, but unless we really have the customer point of view and focus on the quality, you're not going to have success. Cooper: Definitely.The applications do a couple of things. One, the ones that support the customers directly. Those have to have really high availability, and we're able to speed them up quite a bit with the newest and the latest hardware. The other part are the apps that people don't think about that much, which are the ones that support the front lines, the ones that support retail and customer care and so forth. I would say that our business customers or internal customers have also really benefited from this project.